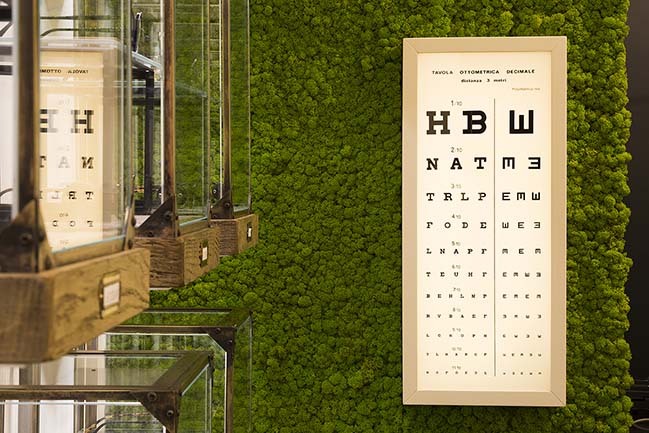 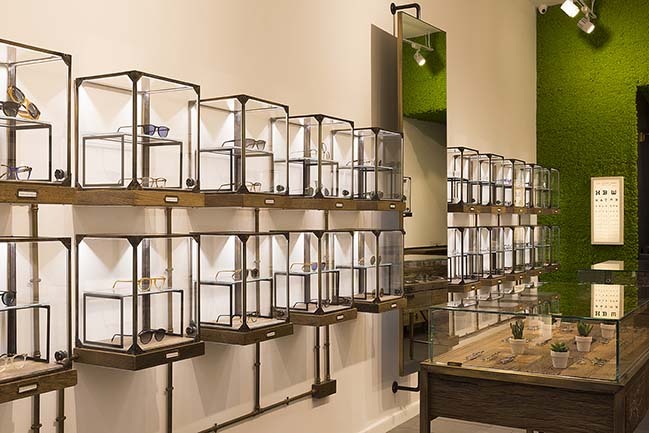 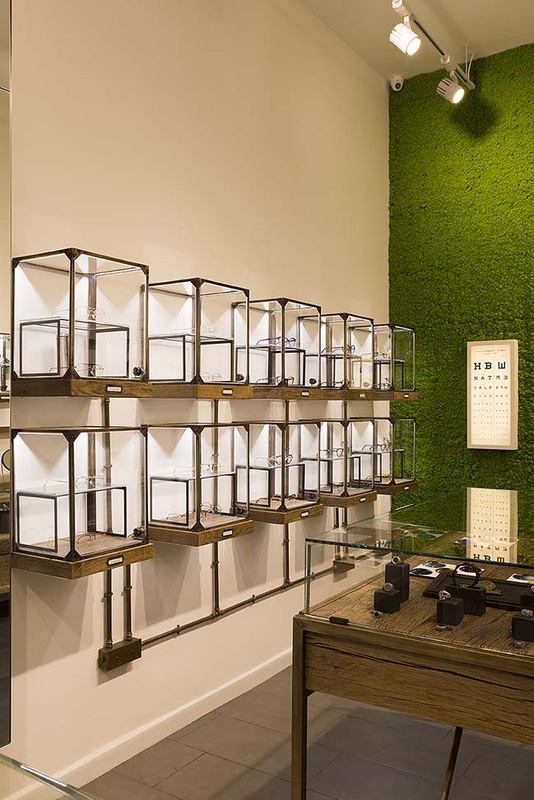 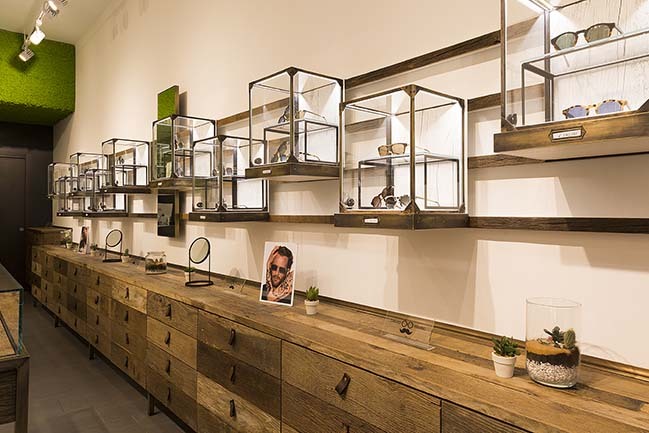 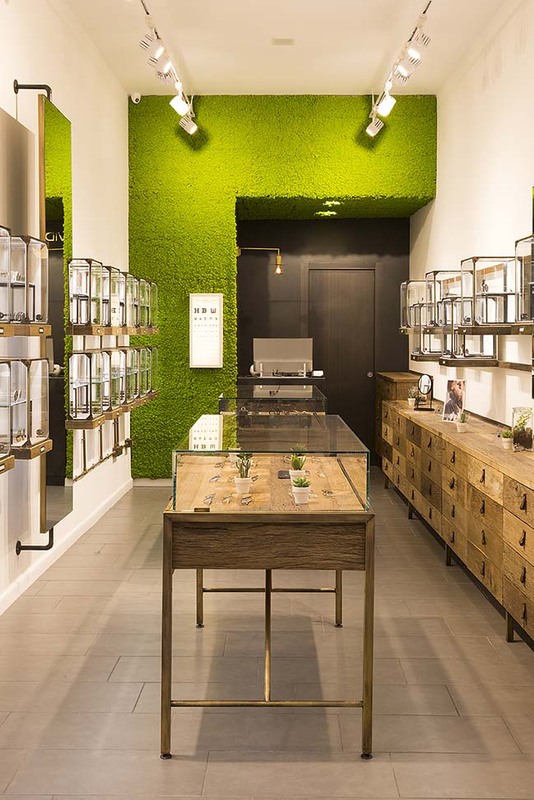 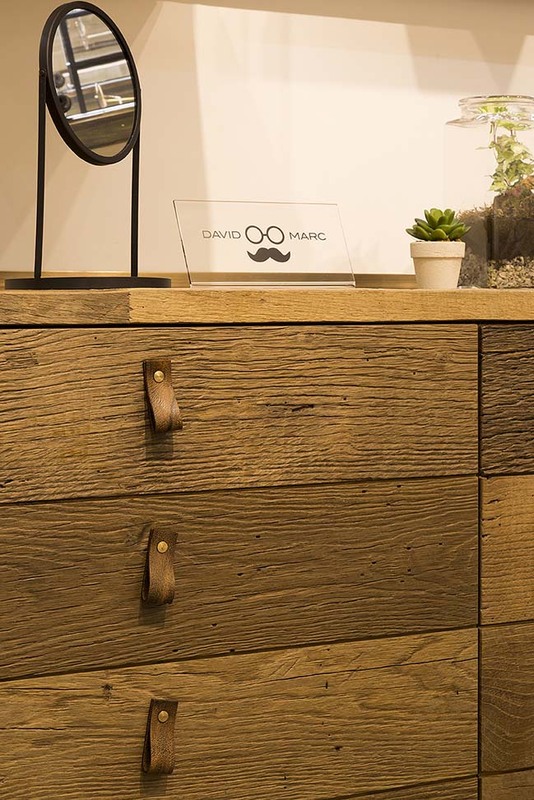 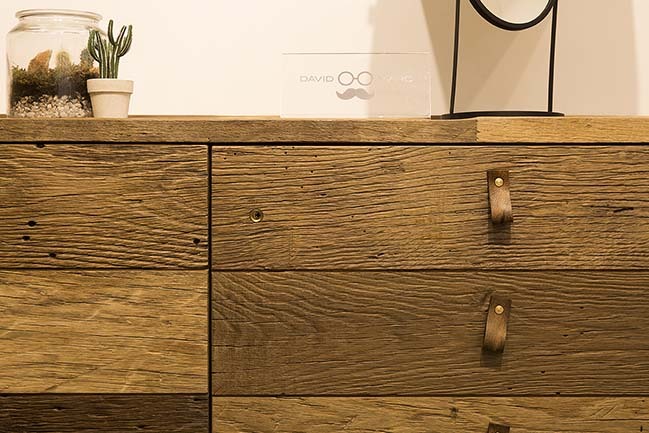 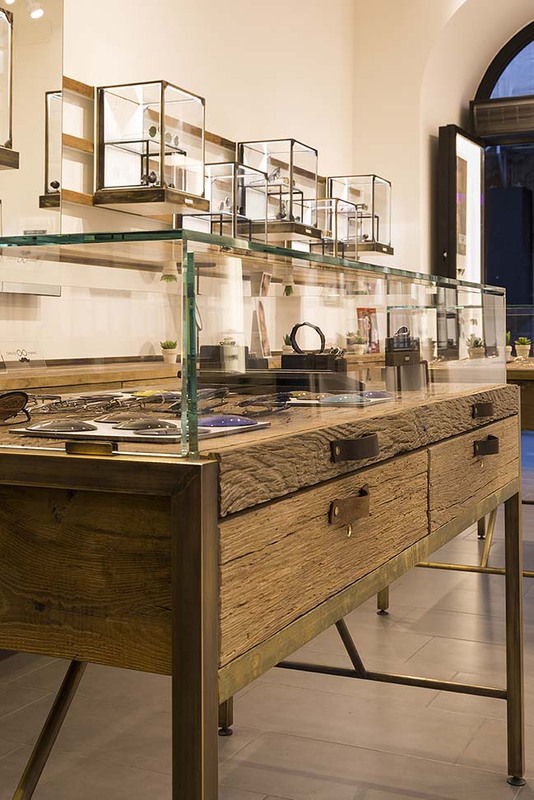 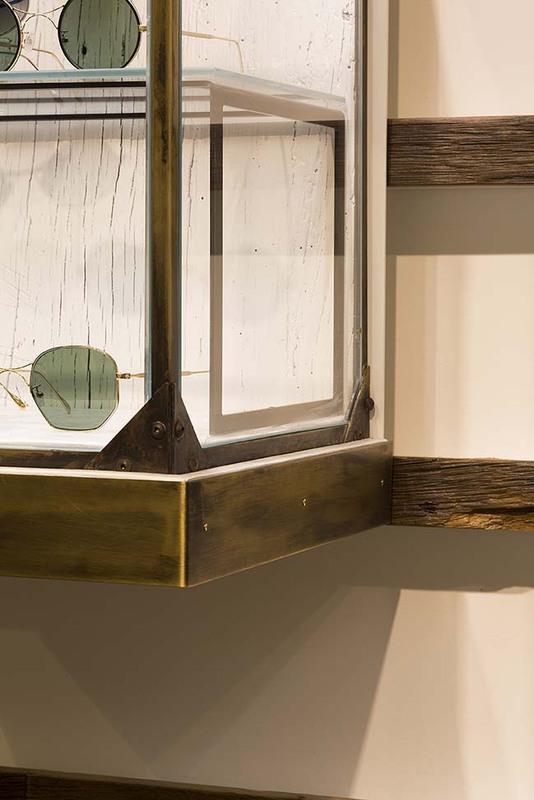 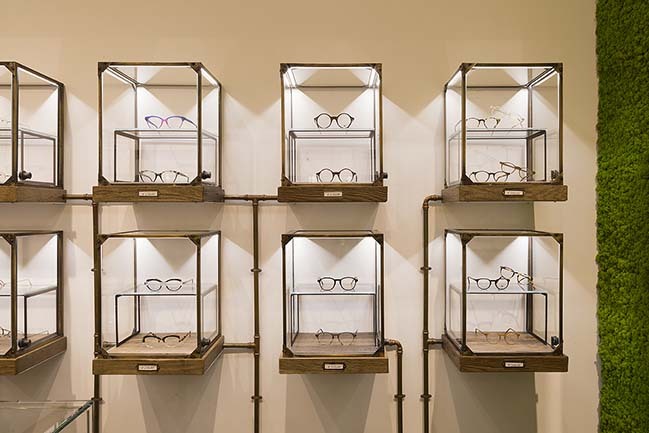 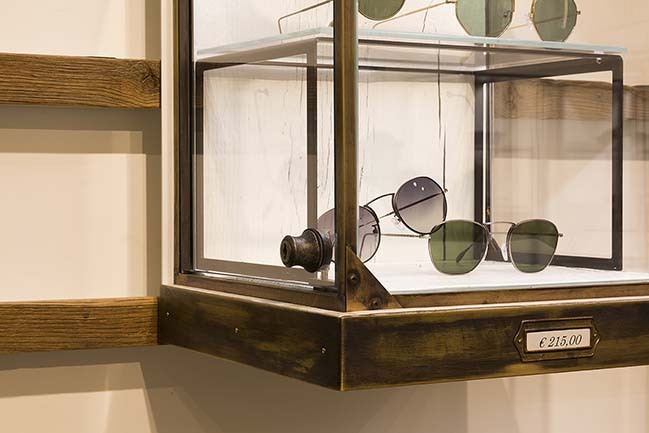 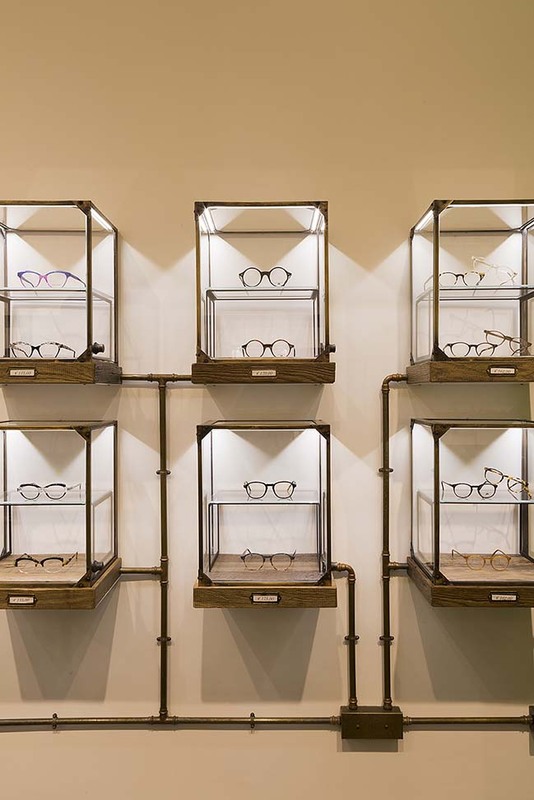 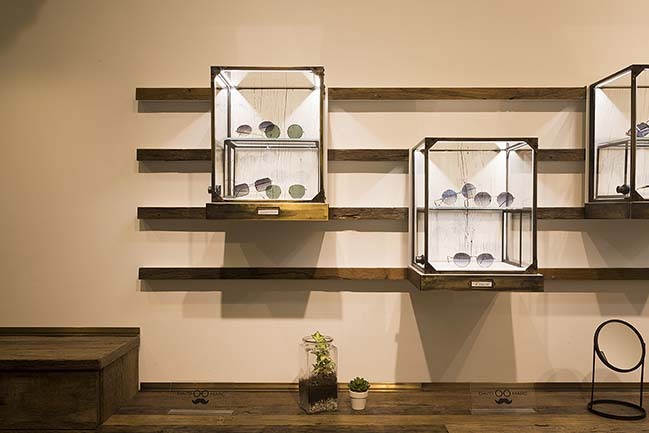 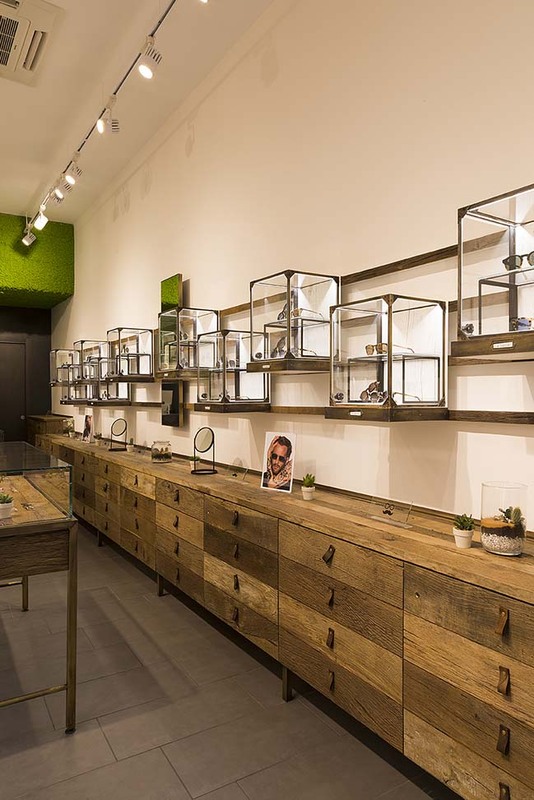 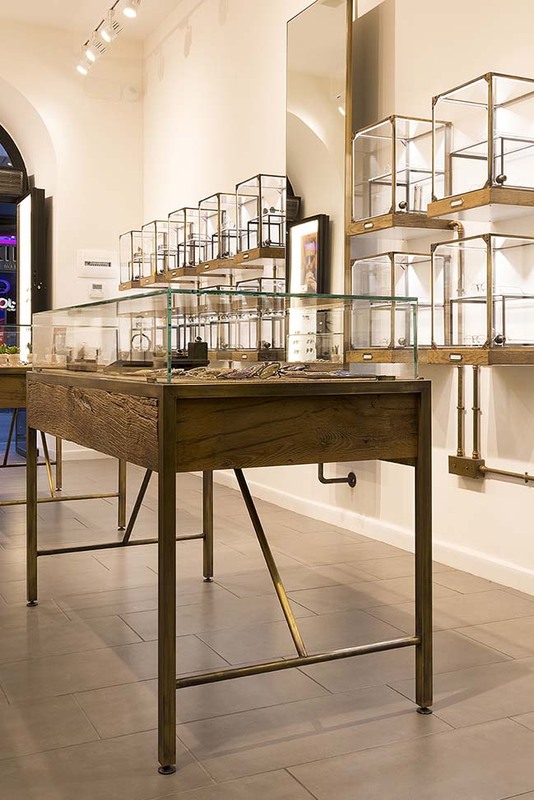 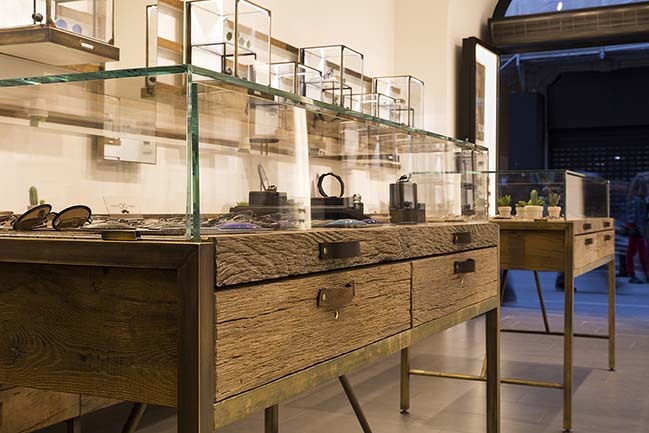 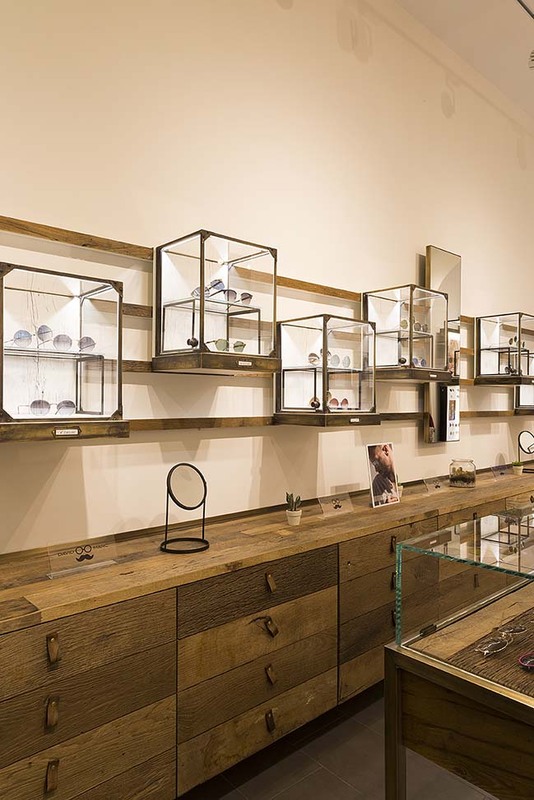 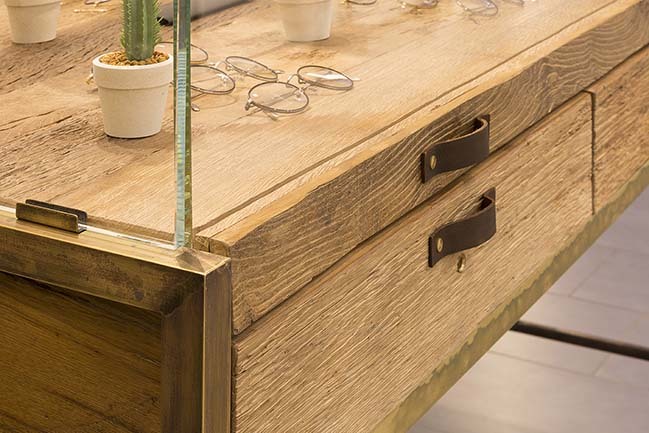 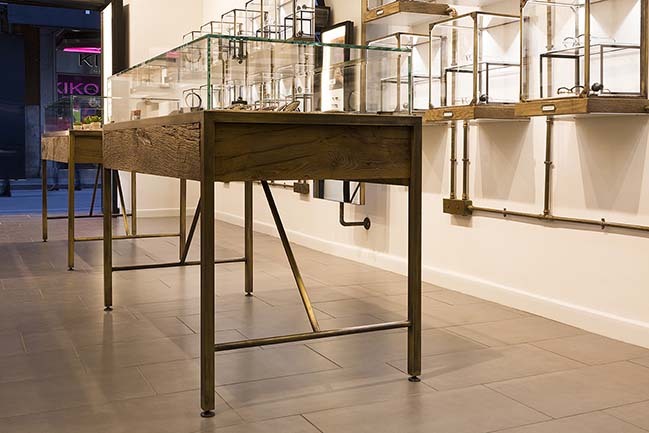 The FZ+stduio designed the first flagship store DAVIDMARC EYEWEAR with the idea of combining the two industrial and modern styles using recycled wood and burnished brass. 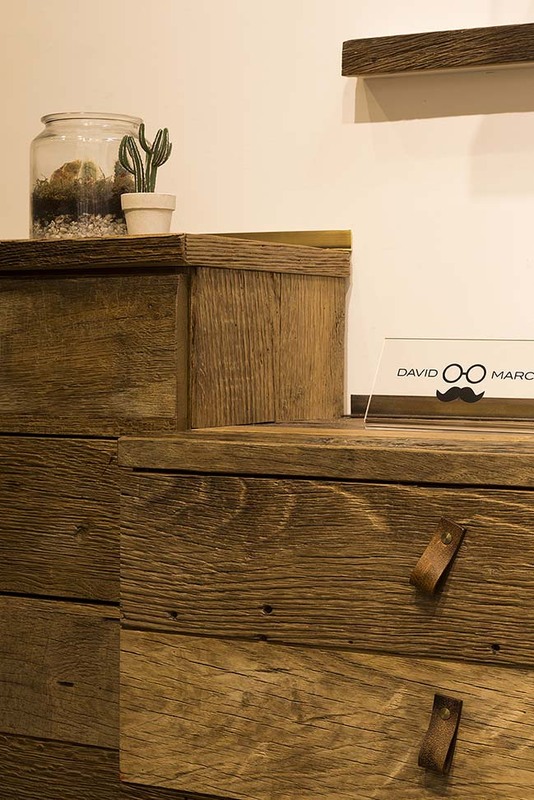 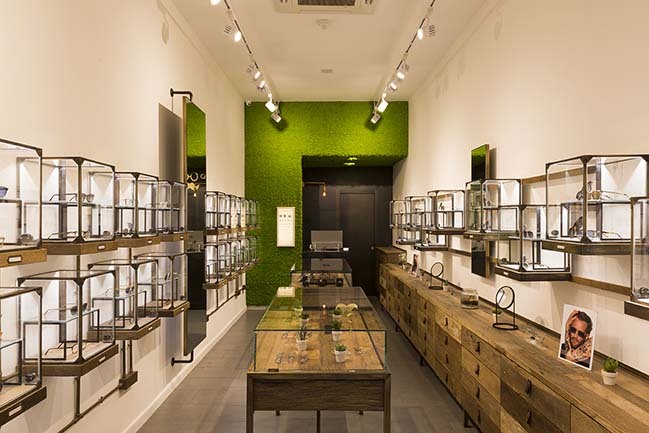 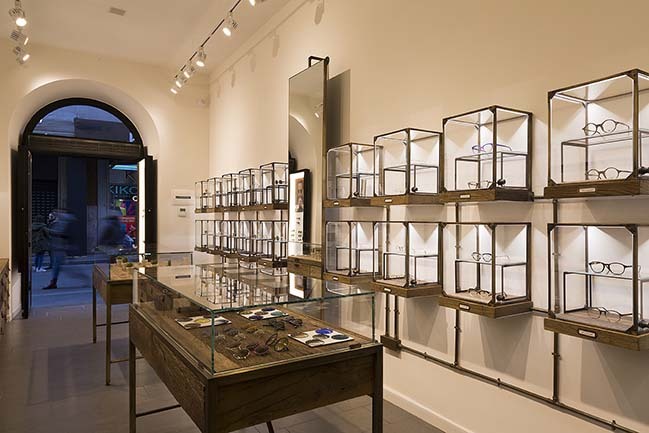 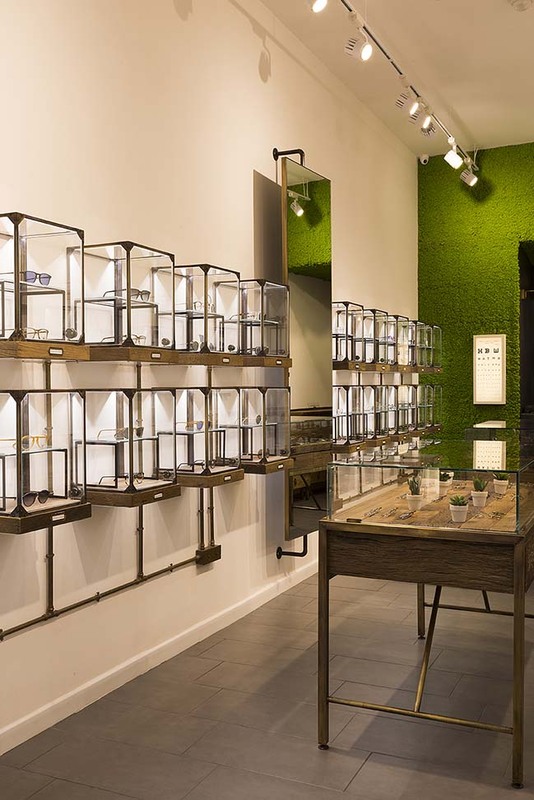 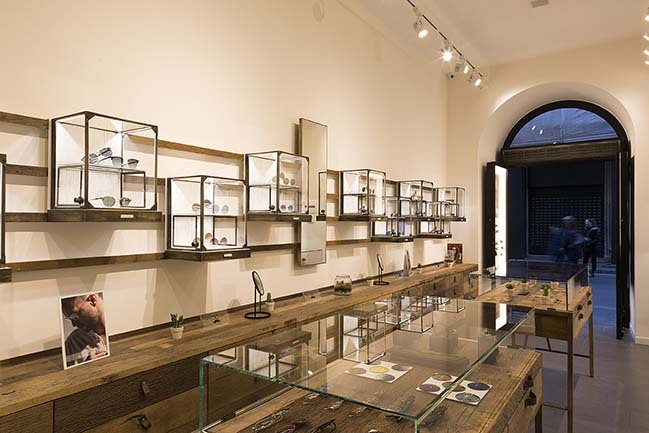 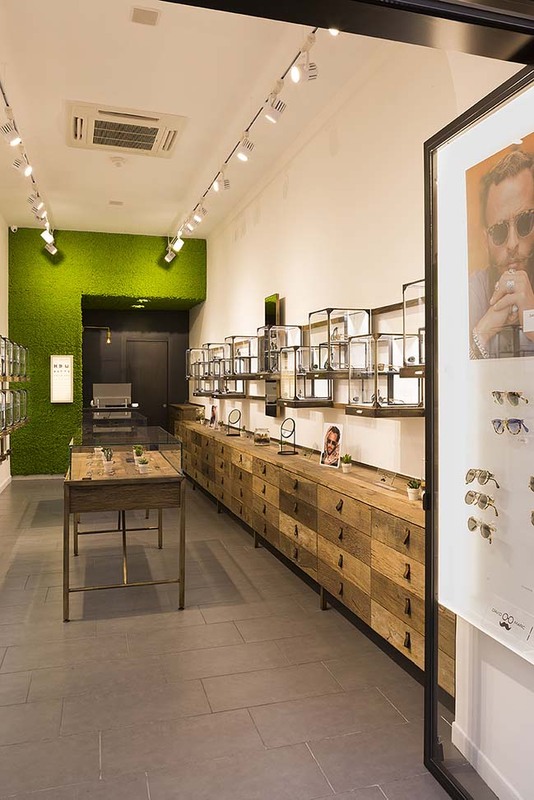 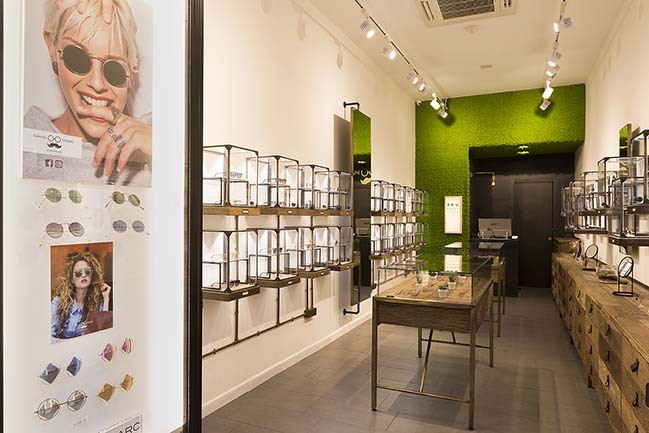 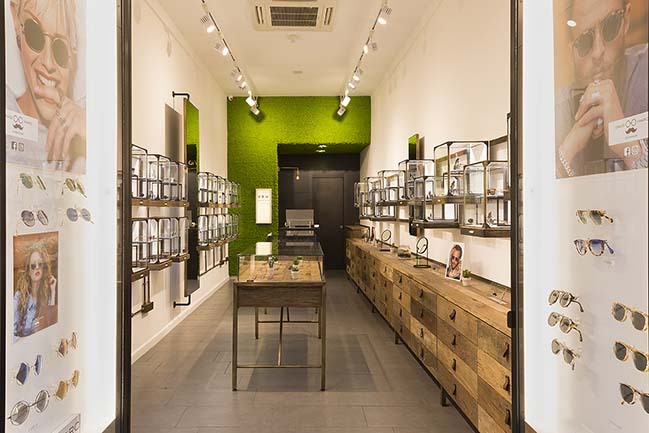 From the architect: David Marc, a well-known Italian eyewear brand, has opened its first flagship store in Rome on the prestigious Via Del Corso, representing the present and the future, the past and new technologies. 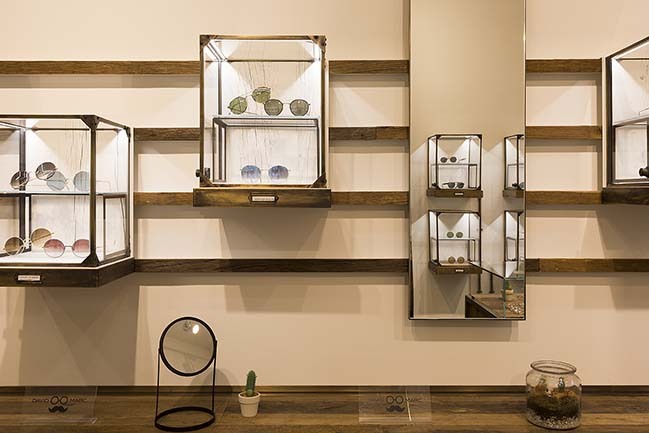 The showroom was built in an area of 40 square meters. 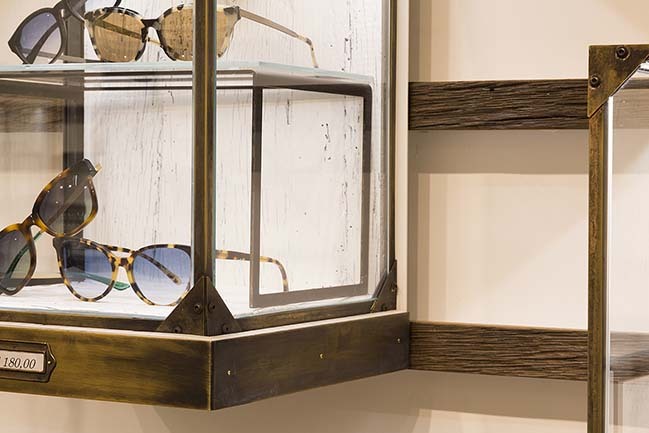 The project was born from the idea of combining the two industrial and modern styles using recycled wood and burnished brass, The walls and the white ceilings stand out the long piece of furniture measuring about 9 meters made of oak wood and leather handles 30 glass cases are hung on the wall to highlight the numerous eyewear models, while at the center of the space there are two display tables with extractable glass top and a brass and wood structure. 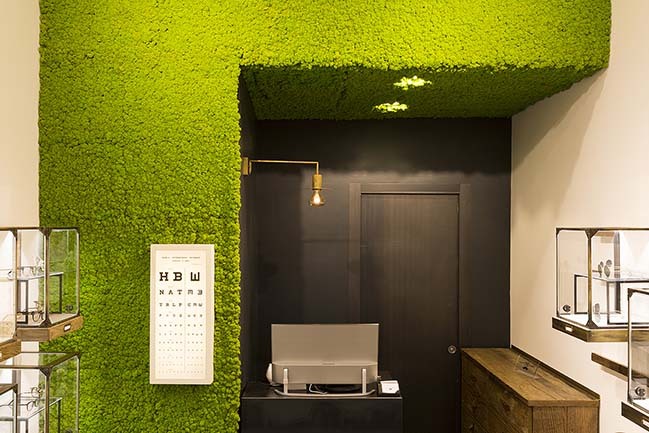 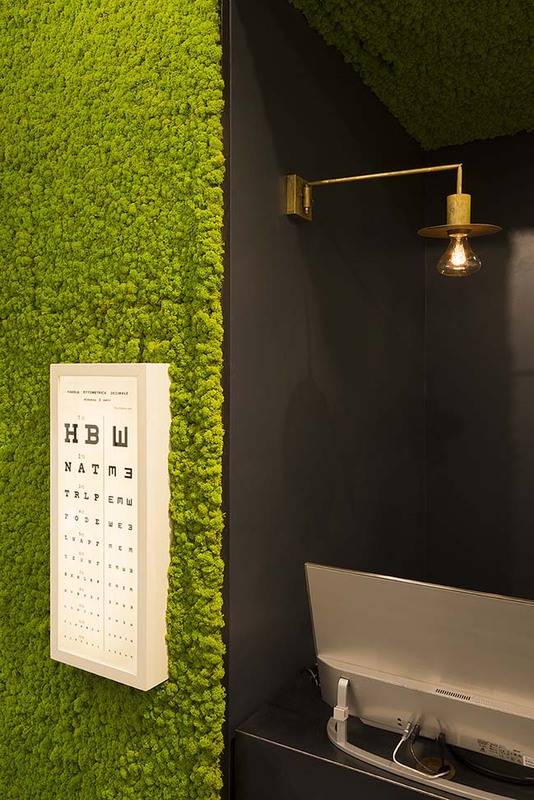 The contrast created for the back wall was made with the stabilized moss (PolarMoss).